within your Seating Plan with a few clicks! 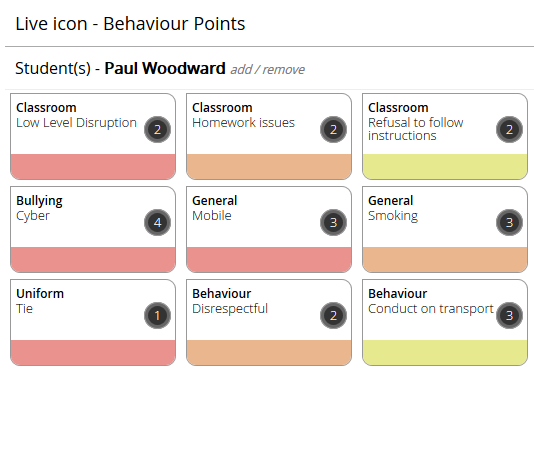 Choose interactive icons for behaviour and achievement that suits your school's preferences. 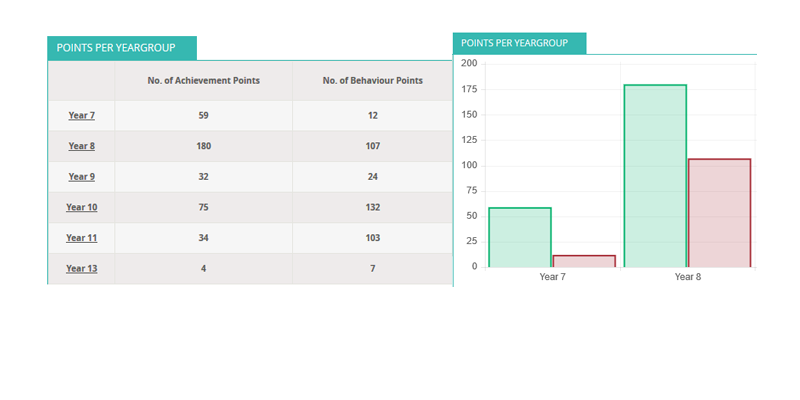 Allocate behaviour and achievement points in just 2 clicks using your favourite 'quick picks'. 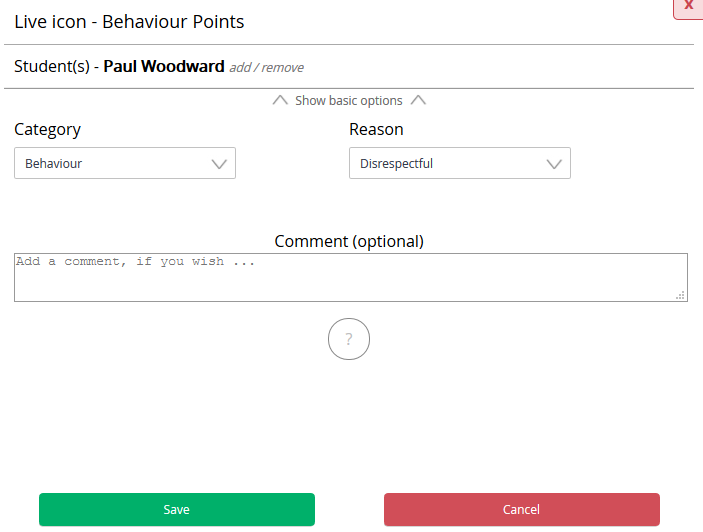 If you need to allocate a behaviour or achievement point you can select it from your full list of details pulled from SIMS. 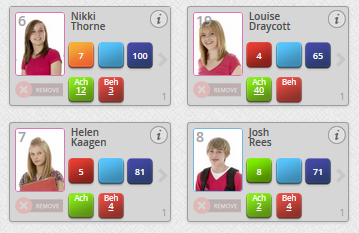 View all student points via the points tab within the student profile and filter as necessary. 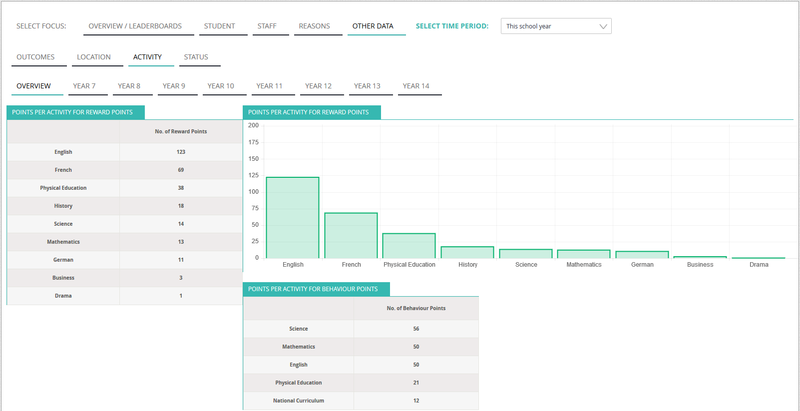 View a breakdown of student performance by form, class, subject, house or year with our smart charts. 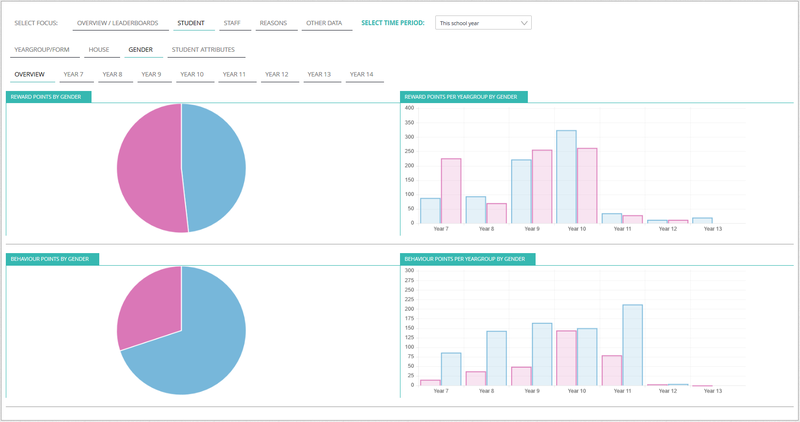 Simple and quick access to leaderboards by today, this week, this month, teacher, subject and more.